Deadlines; meet one and there is another fast on its heels. One person’s approach to meeting deadlines can be a lot different than another’s. Some of us work best under pressure; others enjoy the satisfaction of getting done well in advance of the 11th hour. I guess I am a last-minute kind of guy. Interestingly, much as I dawdle at getting things done in a timely fashion, I sure am annoyed when I am ready to attack the next project (behind schedule, of course) and the equipment I need to proceed isn’t ready to go, because once again, I waited until the last minute. Ironic isn’t it? Once planting is done, if you are the really efficient type, the planter is cleaned up, inspected, adjustments and repairs made and then the planter tucked in the shed until next spring. When that baby is pulled out of the shed in the spring it is ready to roll to the field. The fairly efficient grower will clean up the planter, perhaps make a few notes about what to work on during the winter months, and then put the planter away until winter or maybe early spring. When spring rolls around there may still be some work needing to be done. If notes were made they come in pretty handy. The last-minute grower gets the planter put away just before the first snow flies, hopefully. The planter gets pulled out of the shed in the spring, and then the head scratching begins. What was it that I want to be sure was fixed on this planter from last year? Meanwhile the planting deadline looms. No matter which camp you may fit into you may not be as well organized nor as far behind as you think. If you answer no to any one of the following questions, your planter should not be in the shed! 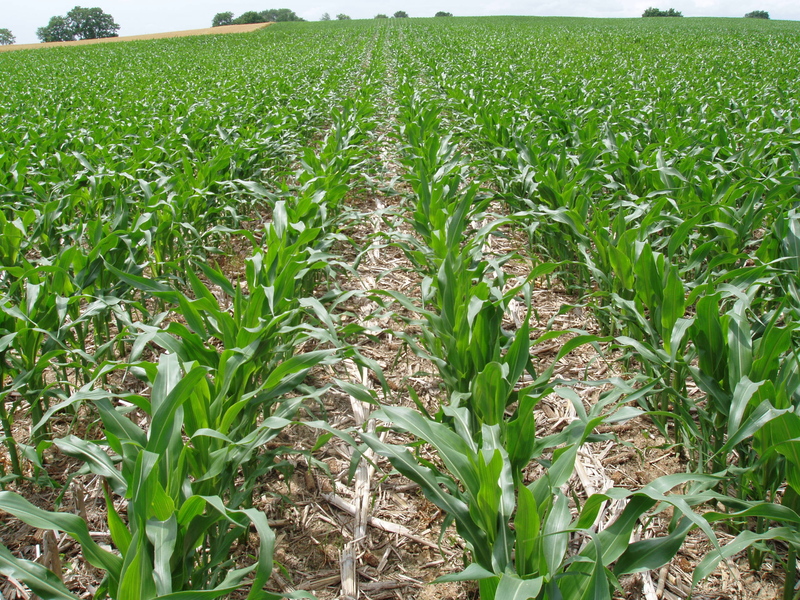 Have you walked your fields to identify mechanical planting errors? Did your starter work like you intended? Did your corn come up evenly or is some of it a collar or 2 behind? Have planter meters been inspected, cleaned, and calibrated for next season? Have you analyzed your planting maps and do they show if each row planted as you set it? 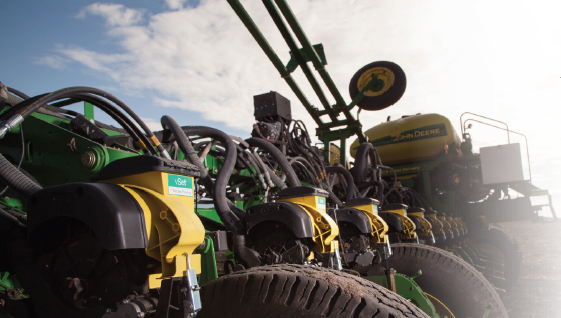 Have you gotten quotes for planter upgrades that will address your planter’s issues? Now is the time to analyze your plant stand, and your planter’s issues. Meters should be worked on now and put away clean and prepped. 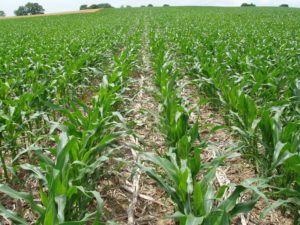 Summertime is the budget friendliest time to purchase upgrades and the best time to make wise logical choices to improve your planter’s efficiency. The best part? There’s no deadline pressure looming! 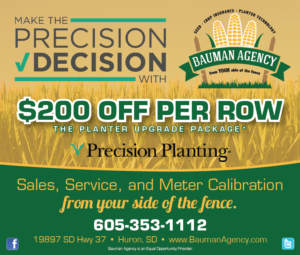 No deadline, that is, other than the Precision Planting Summer Deal Upgrade Package from Bauman Agency, in which we offer a $200 discount per row, ending August 31st. We are happy to walk fields with you. 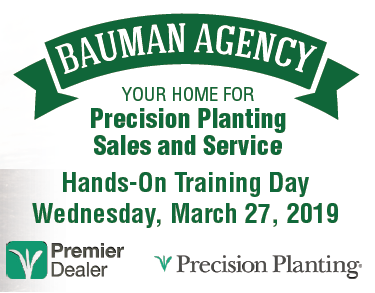 Jonathan, Callee and Wade can help you analyze your plant stand with the aid of Precision Planting’s Pogo. 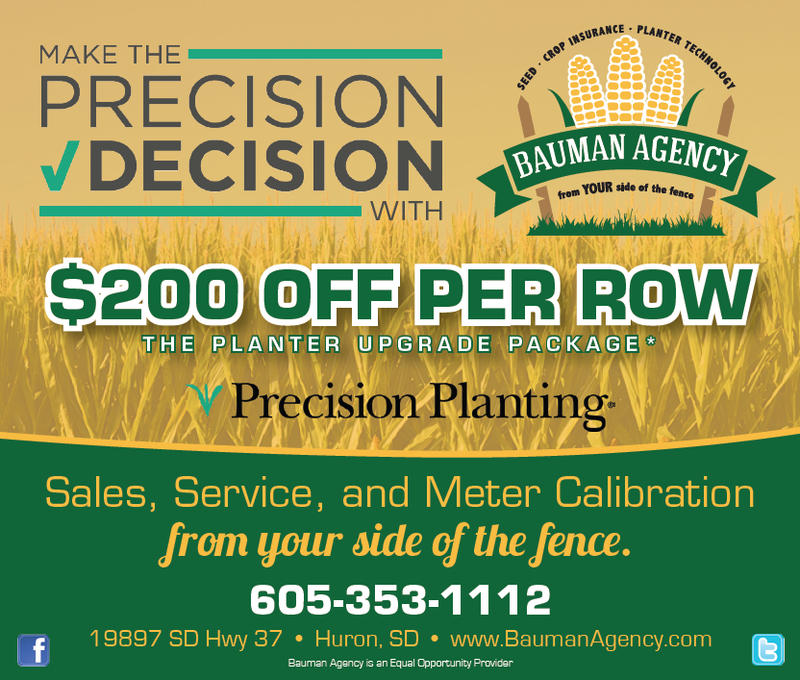 Planter issues can be identified and resolved with summer deals and meters can be checked. Our service is budget friendly and long on experience. 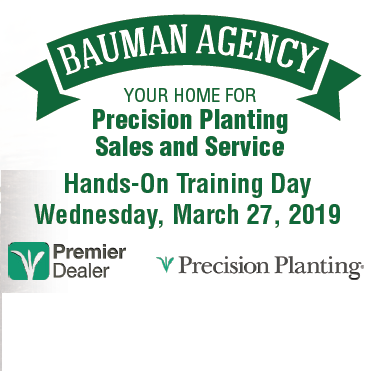 Give us a call at Bauman Agency, 605-353-1112. After all, there is no time like the present!